There are many earphone options under the price-tag of $100. However, not all the choices equip the same, essential set of features necessary for the high-end audio experience. We decided to lay hands on 1MORE Triple Driver In-ear Headphones and test the range of their possibilities. While we haven’t heard about the 1MORE, the Chinese company based in Shenzhen, on regular basis, the quality of the 1MORE triple driver headphones overcame all of our expectations. 1MORE Triple Driver delivers the performance equal to its’ price. After spending some time getting to know them, we decided to write a genuine review which demonstrates how far do the features, design, and performance go. Just like the vast majority of wired headphones, the 1MORE Triple driver doesn’t spark shiny when it comes to the features. It’s’ lack of features, however, didn’t stop us from pointing out the ones that actually matter, making it exactly the amazing value it is. The manufacturer didn’t specify much about the sound isolation. However, this didn’t stop us from testing these headphones to our hearts’ content. While the noise isolation could be better, it does the decent job in closing out the inside of the ear from the outside noises. If you are looking for the decent level of the sound isolation, you will have to look elsewhere. Even so, the headphones provide an entry-level of sound isolation, enough to shut down eventual, humming noise you can come across. For almost $100, one would expect more dedication in this sector. However, merely satisfying, nonetheless. Dont miss our 10 Best Noise Cancelling Headphones under $100 buying guide. 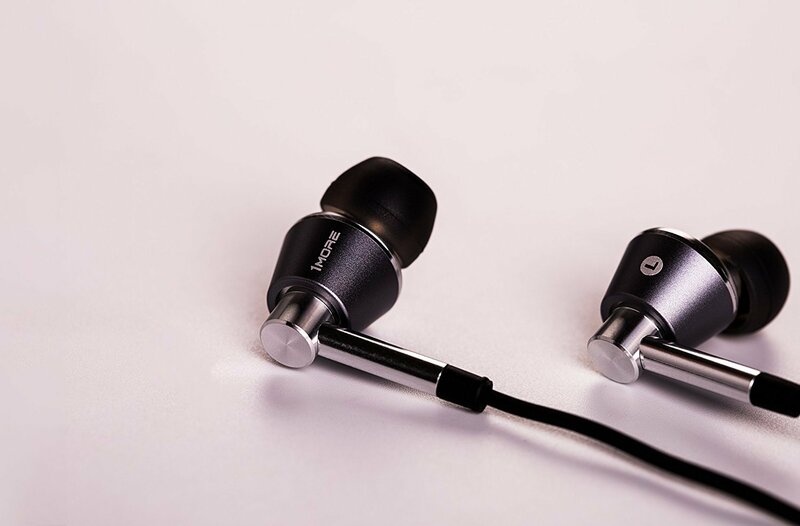 Exactly like its’ name suggests, the 1MORE earphone is imbued with three drivers in order to deliver the highly efficient audio output, and encourage enhancement in the features of the bass and overall rich soundstage. Listening to music coming out from the earphones with actual three drivers is more than satisfying. In fact, it feels exactly like owning the top-end surround musical system, but instead of your room, it is located on your ears. There are two armatures which deliver the crispy and accurate soundstage, while the third, dynamic driver works like the tiny subwoofer for the headphones. The subwoofer is the one which determines the quality and strength of the bass, just like its’ low-frequency spectrum. We are not going to spoil it for you, which is why we left the special details about the sound quality for the performance section. Normally, we shouldn’t mention the design details in the feature section. But, the angled shape of the headphones is too good for us to hide the excitement. We believe that before you proceed to the section of the design, it is very important to be able to rely on wearing these headphones. Anyhow, like we already mentioned, the shape of the headphones is angled, allowing them to adjust to any ear canal without the problem. More about this feature in the design section. Overall, while the not too rich specter of features, you will agree that at the very start of our testing we are aware that the headphones are pretty high end. However, we decided to reward them four out of five stars for the lack of a sufficient noise isolation as the vast majority of earphones in the competitive sports it on a high level. We can’t help but notice at our first introduction to these earphones that they are nothing less than stylish and future proofed. It comes available in three colors Black with the rose golden tips, just like two Titanium textures with lighter and darker version. Just like mentioned before, the headphones have shaped the oblique angles. This construction delivers the advanced level of comfort, thanks to the adjusting to the natural ears curving. This fit, of course, contributes to the enhanced quality of the noise isolation, should you appear in the loud bus or ambient. The headphones feature the metal construction. They are covered with the aluminum alloy over the body. This being said, the manufacturers wanted to deliver either functional lightweight headphones. The whole construction of them weighs only 18 grams, ideal for not causing any kind of damage or abusing to the ears. We are impressed with 1MORE intending to include 6 sets of silicone ear tips. These support 6 ear sizes, thus they can adjust to every shape of ears without causing discomfort. Additionally, 3 sets of foam ear tips not only improve the comfort but the noise isolation as well. We should mention the cable either. There are two textures offered in this product. Basically, there is the Y-connector on one cable to 3.5mm jack. The fabric is designed to establish the durability. It is an often find that the cables usually die first. However, there is also the rubber on the cables. Rubber probably cuts the price, but it is not the most favored choice when it comes to the headphone cables. This way or another, from our tests, we figured that the cable is strong enough to endure minor to mid abusing. The performance of the headphones allows us to see what these headphones are truly made of in terms of the quality of sound, durability, and more importantly, the remote panel which allows you to receive calls, switch music, and of course talk with the built-in microphone. We were mesmerized with the sound quality of 1MORE triple driver earphones. The bass is pretty strong, but not as strong as compared to the leading, more famous competition. This is mainly a reason for the average sound isolation. On the other side, as a result of the powerful drivers, you can more than enjoy the high-end mids and highs. The vocals sound just great and warm, while the instruments are on point with their top-notch detail accuracy. We like that the music is very detailed and accurate. Regardless of the genre you are listening to, you will be able to hear every detail you wouldn’t normally hear with the other, lesser of quality headphones. In fact, as much as you use them while getting used to their performance, you will enjoy the clarity and depth of every musical detail. The headphones are, believe it or not, fairly durable. For the price and aluminum build, you get a reliable pair of headphones worth every penny. The headphones will understandably withstand the minor to mid abuse, just like the case is with the cable. However, don’t overdo it. The headphones include the inline remote with the three buttons control. This works fairly easily, allowing you to use the headphones for either communicating over the calls and answer them in the process. Also, it allows you to control the flows of the music and everything else. Additionally, the 1MORE Triple Driver is compatible with either Android and iOS phones. Basically, there is a microphone which works with each. Meaning, if you have an Android phone you use the Android microphone and vice versa. When it comes to the sound controls, they are commonplace for both types of smartphones. We wouldn’t be honest if we said that the headphones are overpriced. It has been a while since the headphones as valuable as Triple Driver got introduced to us. If you compare the performance and design you will see what we are talking about. There are simply too many enhancements compared to the competition to be considered mediocre. When we put all the features, design, and performance on one page, we know that they are worth every penny. Let’s take a look at advantages and disadvantages of the Triple Driver. The headphones don’t easily stay on if you are active in terms of sports. 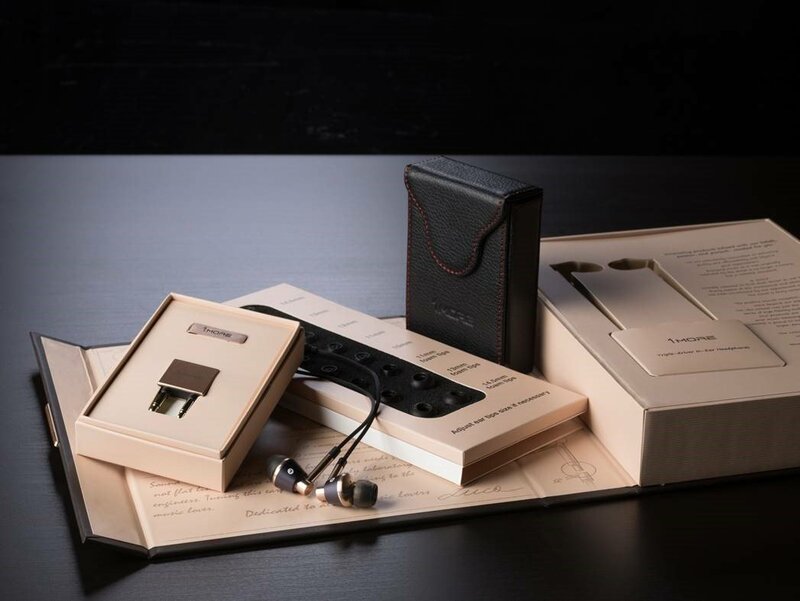 Amazingly affordable yet abstractly powerful, the 1MORE Triple driver earphones will complement the ears of true audiophiles who appreciate the stellar and warm music experience and aim for the lasting quality and comfort which don’t cross with the budget. We always like to provide some similar alternatives of our reviewed headphones. 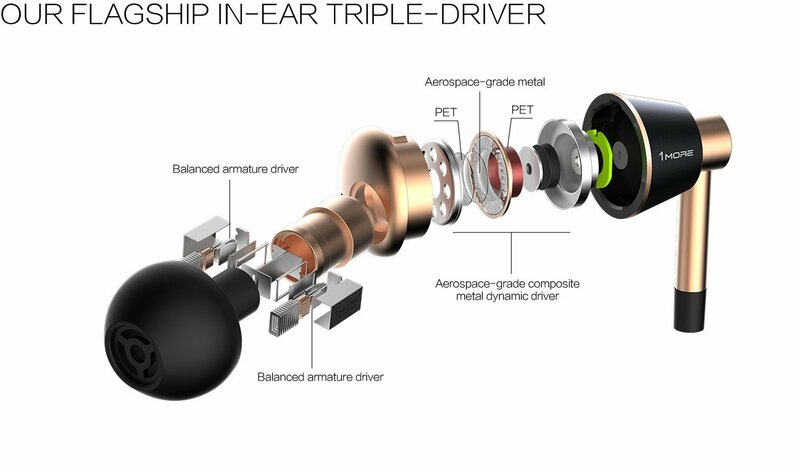 Though we consider 1MORE triple driver is the most recommended among all triple driver in-ear headphones available (because of performance and budget ratio), you as a reader might have something else in mind. 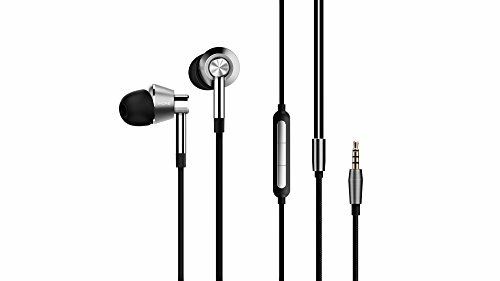 So, here is a short list of other Triple Driver In-ear Headphones available in the market and you can buy right now. 1MORE Triple Driver In-ear Headphones are an amazing investment for every audiophile looking for the superb sound quality in an under-$100 headphones. Engineered by the award winning engineer Luca Bignardi, they sport the high-end tri-driver technology creating a surround system exclusively for your ears. The angled design makes the earphones lay comfortably on your ears without causing the headaches. Among these amazing features, the chances you won’t enjoy these headphones are little to zero.